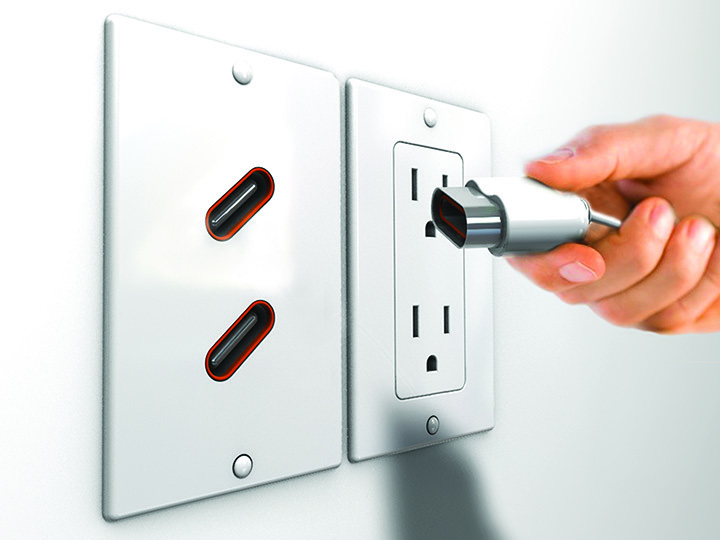 Every room in our homes and offices has at least one electrical outlet from which we draw power. What if each of those outlets had an accompanying electrical “inlet” so that we not only drew power from the grid, but could also give some back? 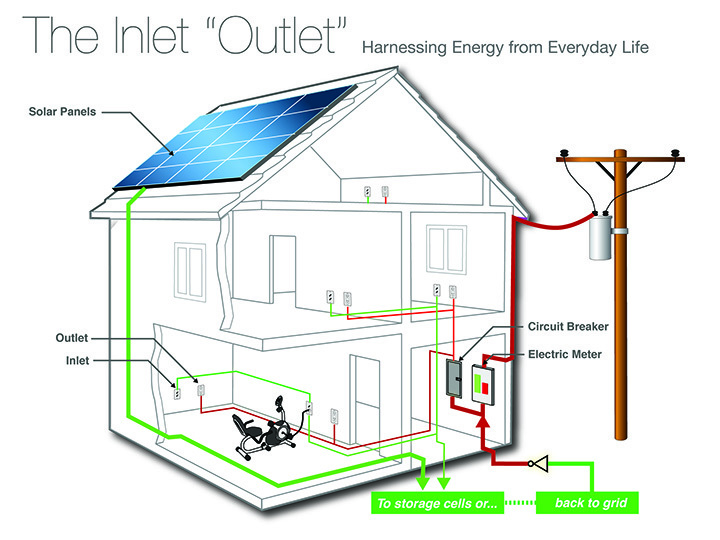 We already have solar and wind systems for homes, so why not extend this concept to all our habitable spaces through a system of integrated, easy-to-use plugs and inlets? In addition to the inlet panels, adapter kits would be made available to easily convert common household products into energy-generating, inlet-ready devices. Applications include obvious kinetic sources such as exercise equipment, and emerging solutions such as cells that convert heat into energy. 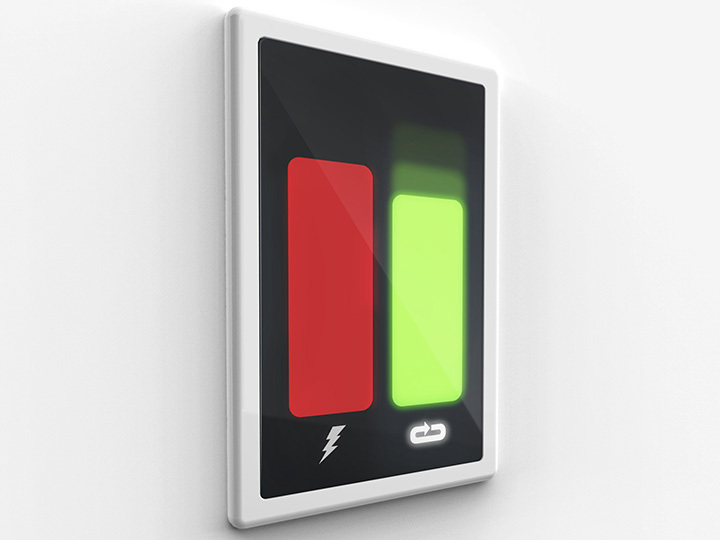 Ultimately, the availability of an inlet panel/plug adapter kit system can encourage the development of new devices that harness energy to feed back into the grid. The Inlet Outlet concept is featured in Taschen’s Product Design in the Sustainable Era. 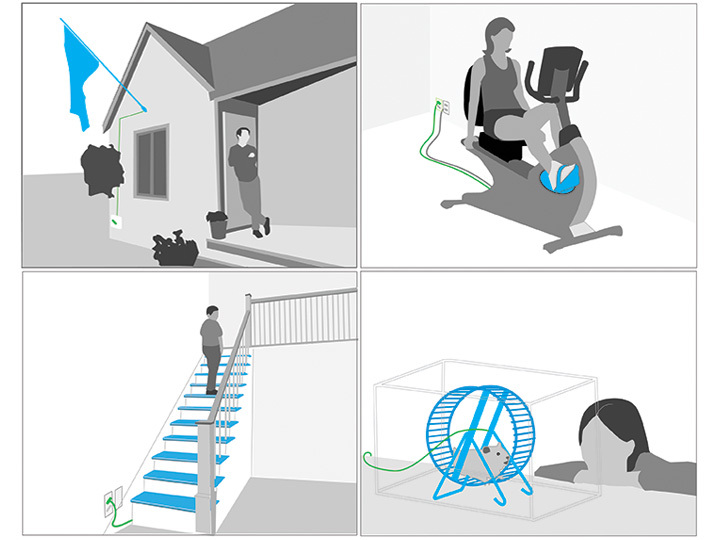 It was also a finalist in the 2009 Greener Gadgets design competition.